No, do not hide! 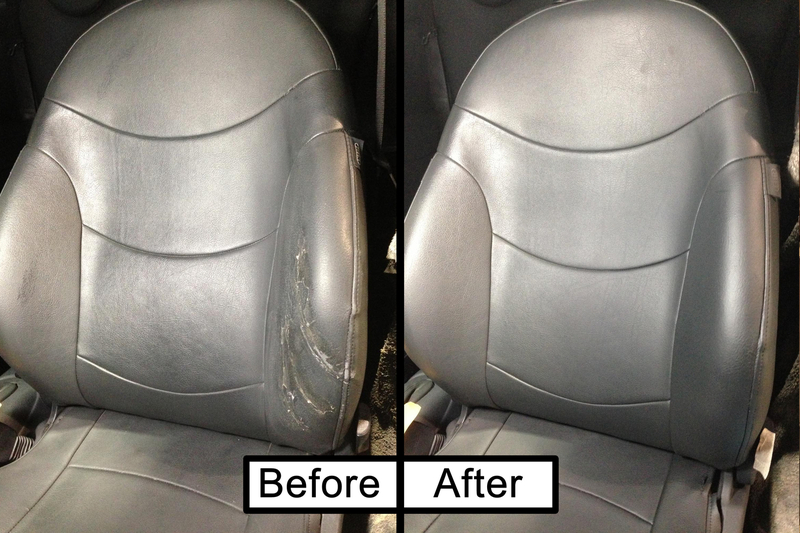 Repairing the leather of your car is much simpler than you might imagine. Leather attracts you. Leather in your car, you hear. Indeed, the benches and seats are a little tired. The leather is dried out, cracked in places. No, you do not dream, there is a small tear. Despair! It’s not your fault. The former owner has never taken care of his car. You can remedy his casualness with some basic care. When your skin becomes dry and cracked, you apply a moisturizing lotion, do not you? At regular intervals, bring the same treatment to the leather of your car. A monthly or quarterly schedule should be established. There are a host of one-step cleansers and conditioners in the form of lotion, spray or wipes. Each formula contains a soft oil that removes dirt and softens the leather. You can also buy specific products for each step, using the leather conditioner more often than the cleaner. In severe wear, various leather restoration products are on sale. First, match the leather color of the seats. To do this, send the supplier a sample of the leather (taken under the seat) or use the manufacturer’s color code. Clean the seats thoroughly with a vacuum cleaner and a leather cleaner. You can sand the imperfections with a fine sandpaper and clean again. After a test on a small surface to ensure that the color of the liquid product is correct, apply it with a spray gun, a soft bristle brush or a sponge. To fill crevices and cracks, dilute the product with water (about 30%). Rub it to make it penetrate into the leather. Allow to dry and wipe off excess. After applying liquid undiluted leather to the seats in as many layers as necessary, a conditioner will allow you to gloss the leather. No worries: it is possible to repair small tears. Clean the area where it is located. Using scissors, cut uneven edges. Have a matching color piece of leather in the seat, or, as we have explained, a room you tinker after. When cutting the work piece, be sure to have an edge protruding about one inch. Thus, the tear will be completely covered. Apply adhesive around the tear, place the piece on it and press down. When dry, sand around the edges to remove excess glue and rough edges. If necessary, tin the room. Apply conditioner. If the repair is more complicated or if you are not in the mood, return your keys to an auto repair shop specializing in leather interiors. Between amateurs of leather, the synergy should be total.